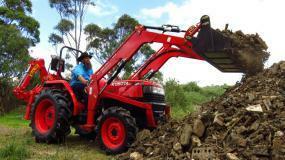 SOTA has sold thousands of Kubota tractors, loader and implement packages across Australia. We deliver and install tractors from our branches in Victoria, New South Wales and Queensland to: NSW, VIC, WA, QLD, NT, Tasmania and South Australia. 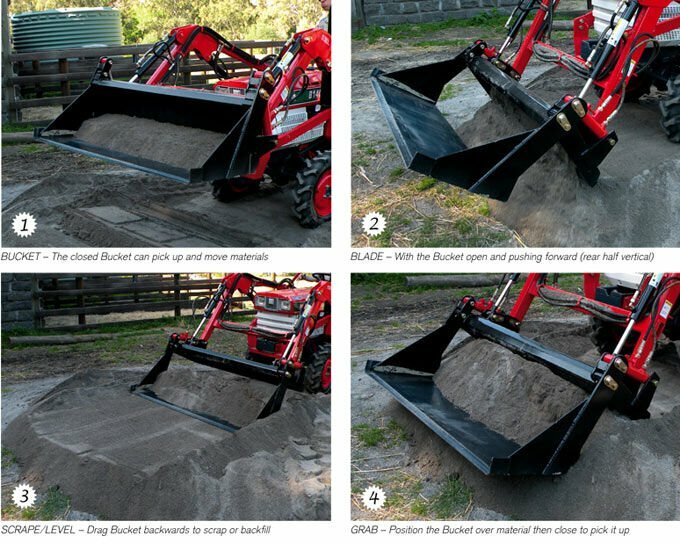 SOTA’s remanufactured Kubota tractors are fitted with new front end loaders and 4-in-1 buckets. 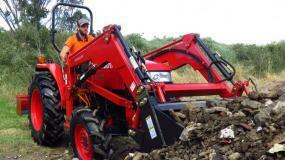 They are compact, used Kubota tractors, from 25-45hp that have been refurbished to a fixed specification. Each Kubota tractor, loader and implement package comes with a written warranty, guaranteed availability of spare parts and SOTA’s famous after-sales support. They are ideal for hobby farmers on a budget, who require a quality tractor and implement package at an affordable price. Many of our Kubotas are used commercially, such as the Kubota L2402DT, pictured above. 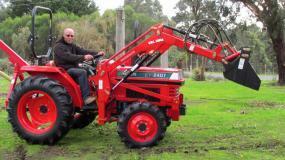 This 28hp Kubota is a compact tractor but it is no toy! Read what the owner thinks, here. Please scroll down to view this month’s great Kubota tractor package deals. These are indicative packages. You may purchase them “as is” or we are happy to tailor a package to suit your requirements. SOTA has a huge range of implements, in stock. 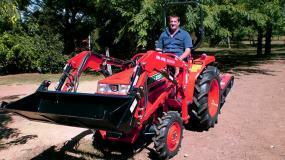 We have the right implements for your farm and our farming experts are ready to assist. SOTA can tailor an implement package to your specific needs. Your tractor package is backed by SOTA's high standard of customer service - we don't forget you once you've made your purchase and have a dedicated service team. We support all the models that we import with a full compliment of spare parts on the shelf plus a written warranty for peace of mind. 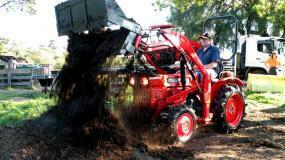 SOTA Kubota tractors are remanufactured to a fixed specification. 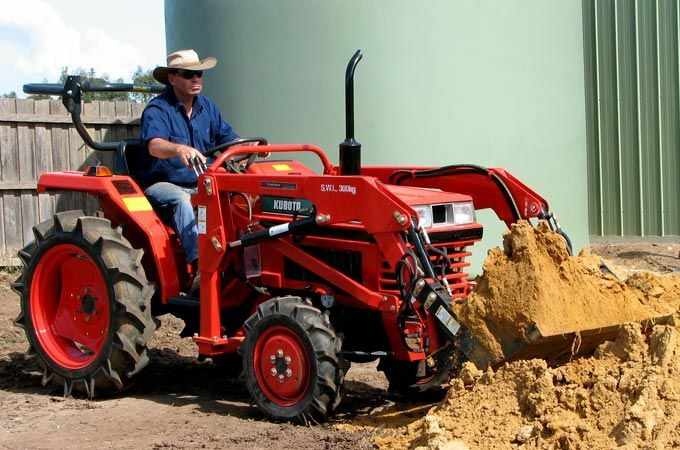 Each Kubota model has been independently assessed to comply with all Australian agricultural safety standards. 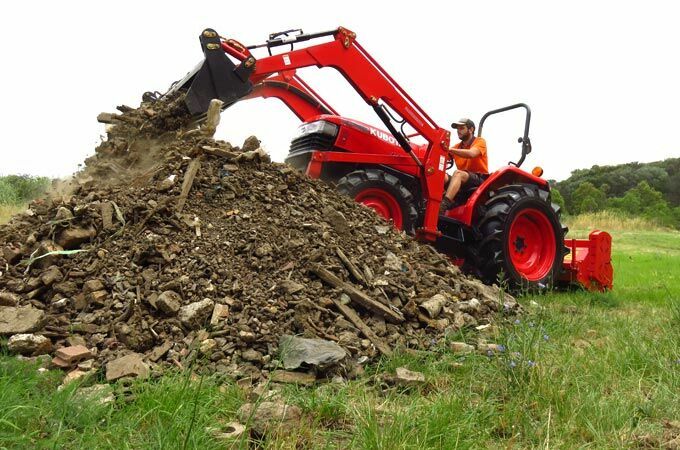 Kubota L4508DT with 4-in-1 loader & Del Morino Rotary Hoe – your back’s best friend! SOTA offers package deals on various models of Kubota tractors each month, including a bundle of implements. Our Kubota packages have been extremely popular for 15 years, especially with small acreage owners. 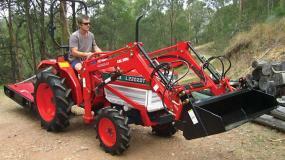 We have sold thousands of Kubota packages across Australia. Some of our customers purchase a package, “as is”. Others request a modified package, tailored to the tasks they have in mind. We will assist you to tailor the implements to your specific requirements. 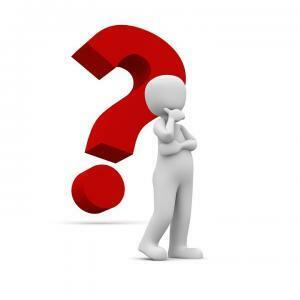 If you’re new to farm machinery or farming in general, please don’t be concerned about asking “silly” questions. We’re renowned for our empathy and honest advice. There are “no” silly questions. Our logistics and customer support are the best in the business. 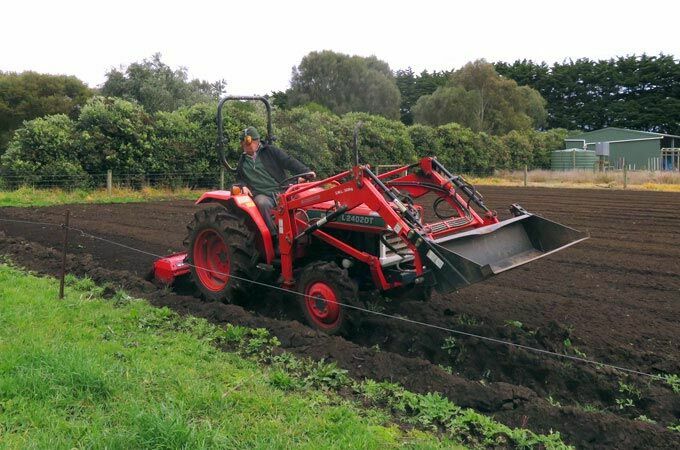 SOTA will deliver your Kubota tractor and implement package to your farm and we will instruct you on safety, maintenance and operational aspects, so you are ready to go and confident about reshaping your property. 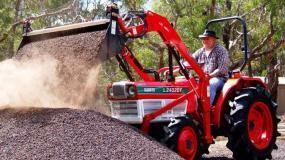 SOTA’s used Kubota tractors are compliant with Australian regulations. Every model has undergone a full compliance check by an independent tractor safety expert. All of our Kubota tractors are fitted with a certified Hercules ROPS and seatbelt. You can purchase with confidence from SOTA. We have been importing Kubota tractors for many years and only bring in models that we can fully support with spare parts and consumables. Our staff know our Kubota tractor models, backwards. Our reputation for after-sales support is renowned. SOTA will service your tractor onsite or support your local tractor mechanic with parts and advice. Please read what our customers think of SOTA Tractors’ service. SOTA’s branches in QLD, NSW & VIC are stocked with tractors, implements and a full inventory of spare parts and consumables. Ken Gray with his SOTA Kubota L1-20DT tractor. Unsure which tractor is appropriate for your farm? Please ring us on 1300 767 297 or email SOTA here. We’re happy to assist! 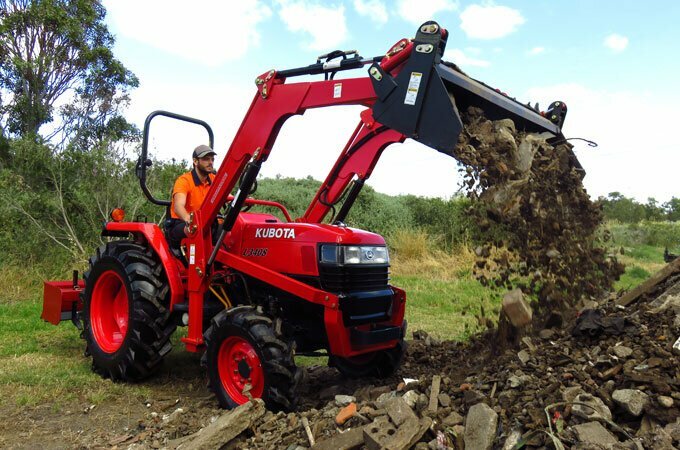 SOTA has a range of Kubota tractors to choose from, which can be delivered with a tailored implement package for the specific jobs you have in mind. 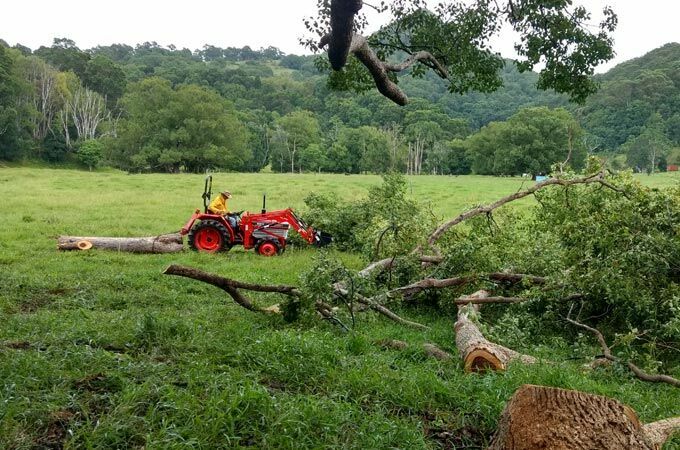 Whether you require a budget versatile farm workhorse or TPL all rounder, a SOTA remanufactured Kubota and implement package is an excellent value proposition for small acreage owners.